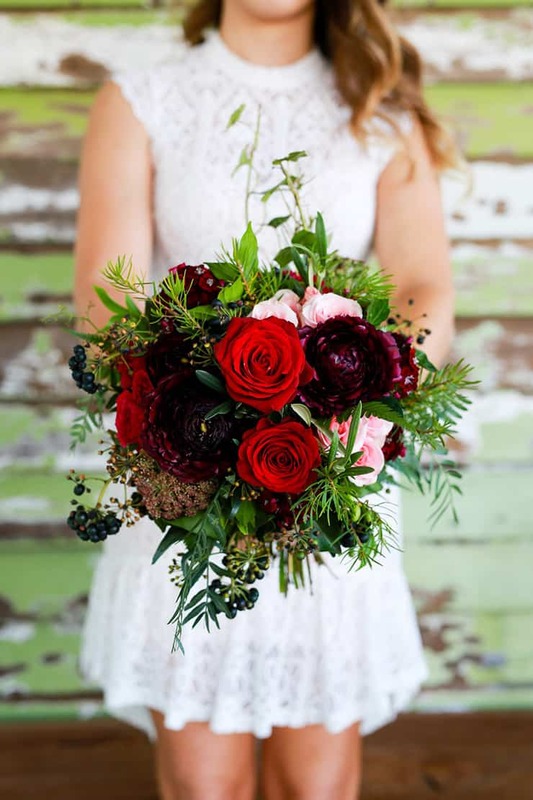 This berry beauty proves it’s possible to take inspiration from different wedding styles and tie them together with your colour palette! 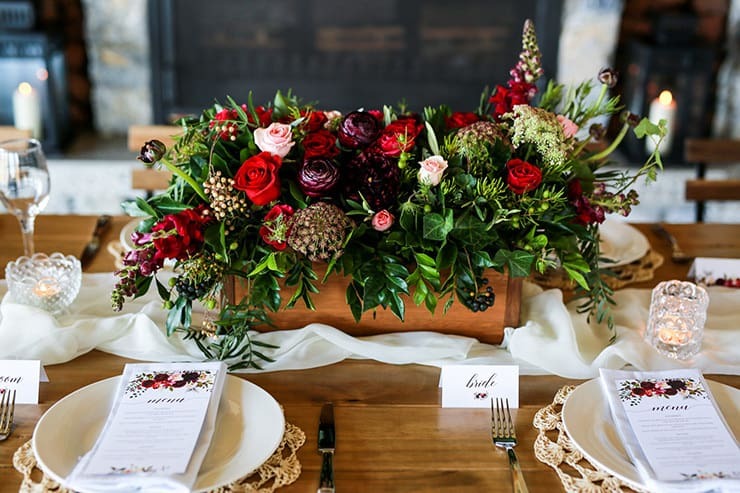 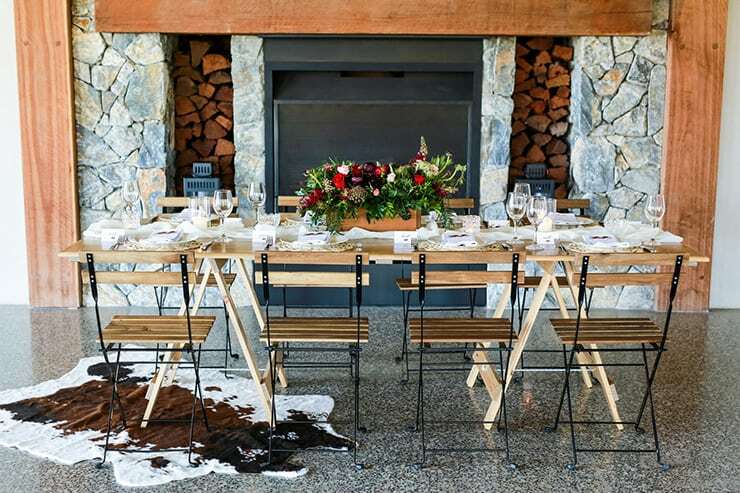 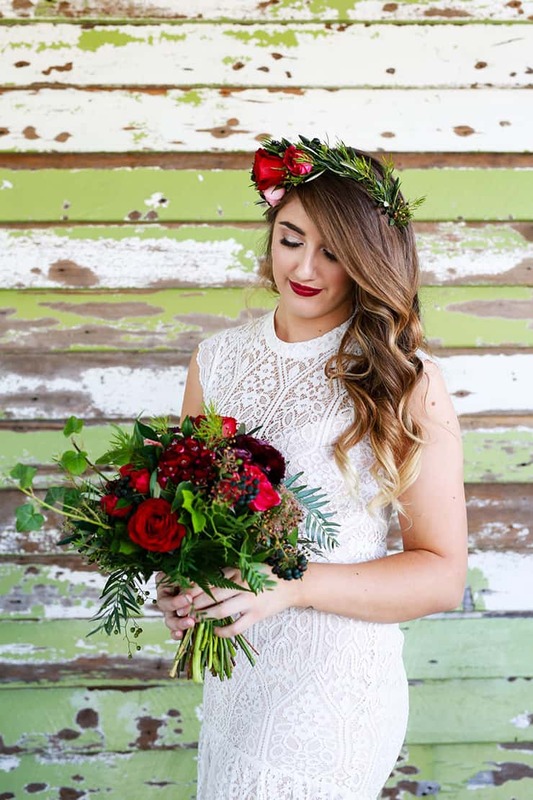 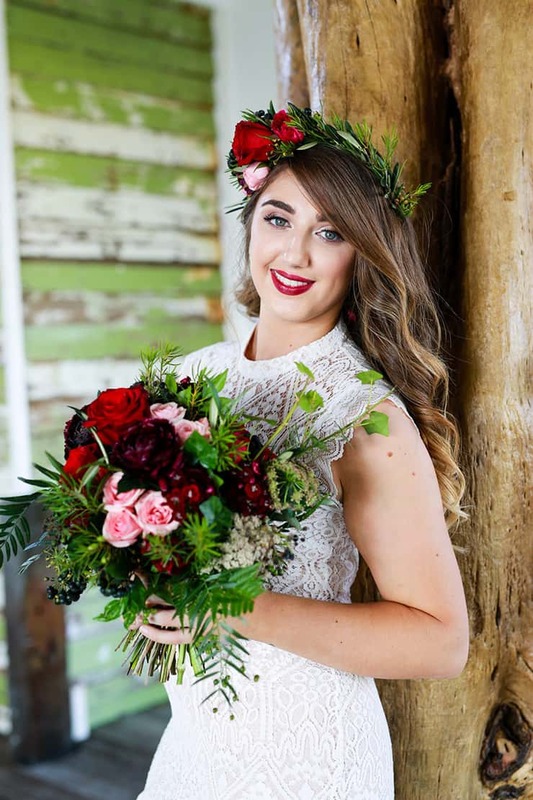 A boho ceremony, rustic reception and romantic bridal styling combine seamlessly thanks to a divine mix of florals in red, burgundy and pink. 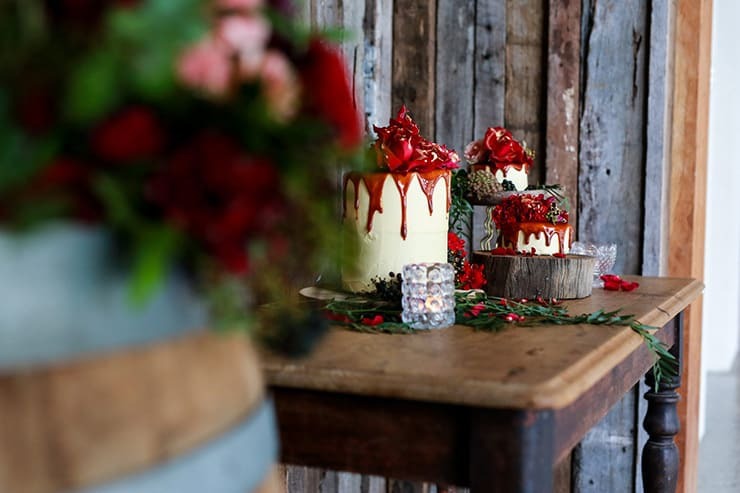 There’s also two exquisite lace wedding dresses, a mouthwatering trio of cakes and mobile bars we’d love to see pop up anywhere, anytime! 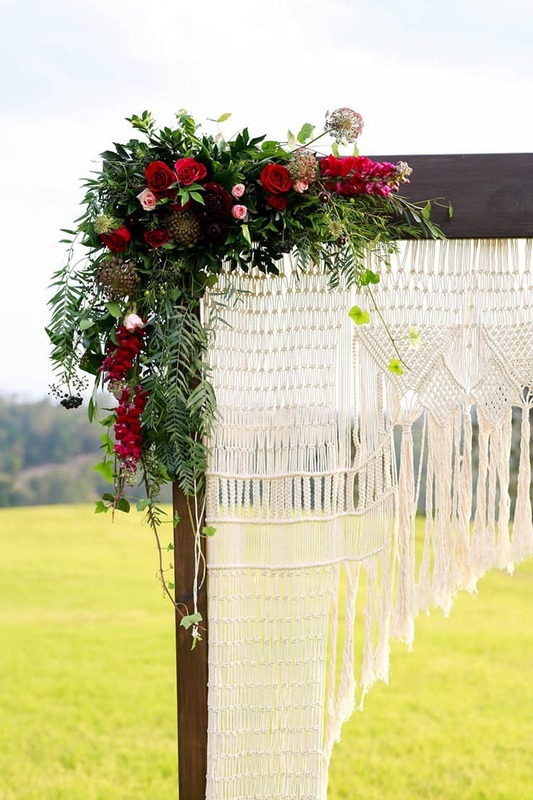 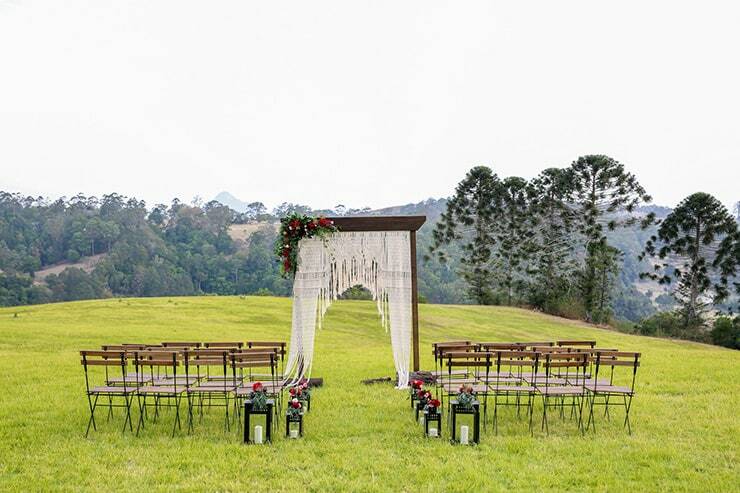 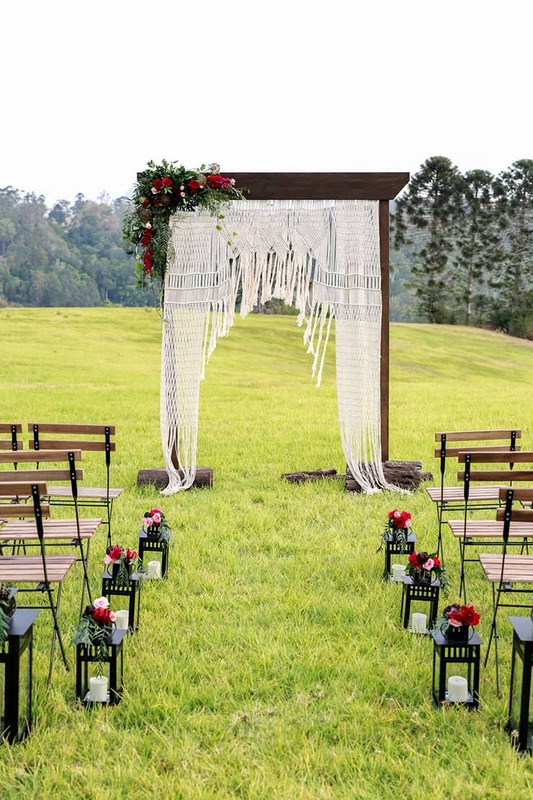 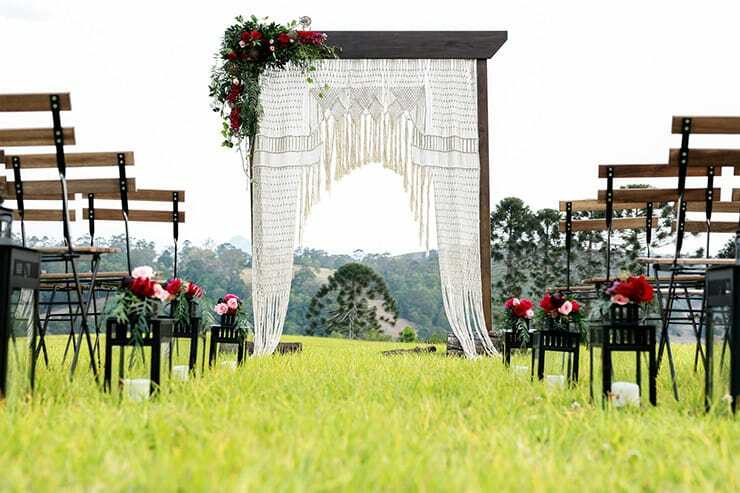 Set on rolling lawns, the ceremony space is framed by a macrame arbour accented with roses, snapdragon and cascading greenery. 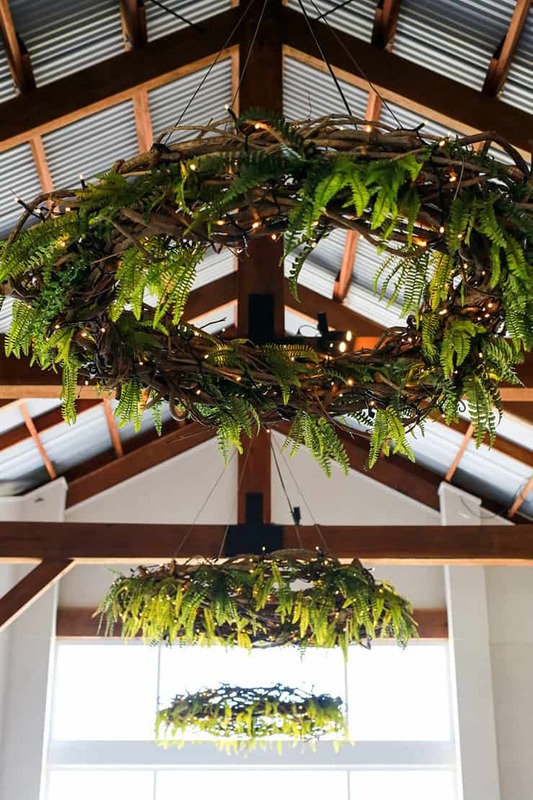 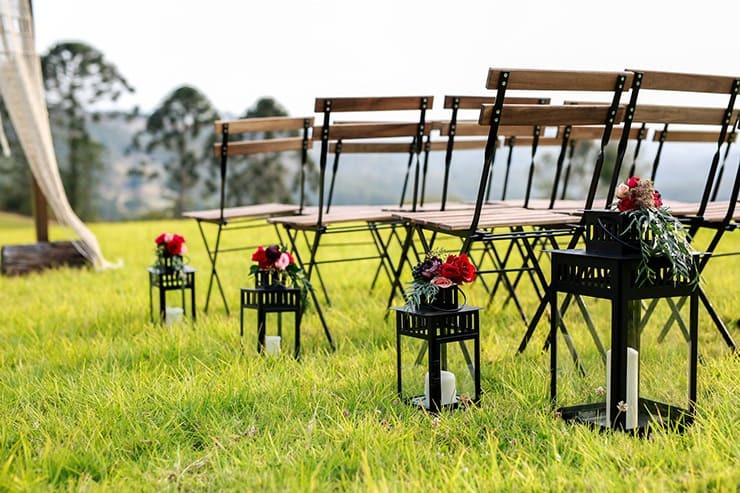 Black lanterns topped with blooms line the natural aisle – just imagine the glow as the sun sets! 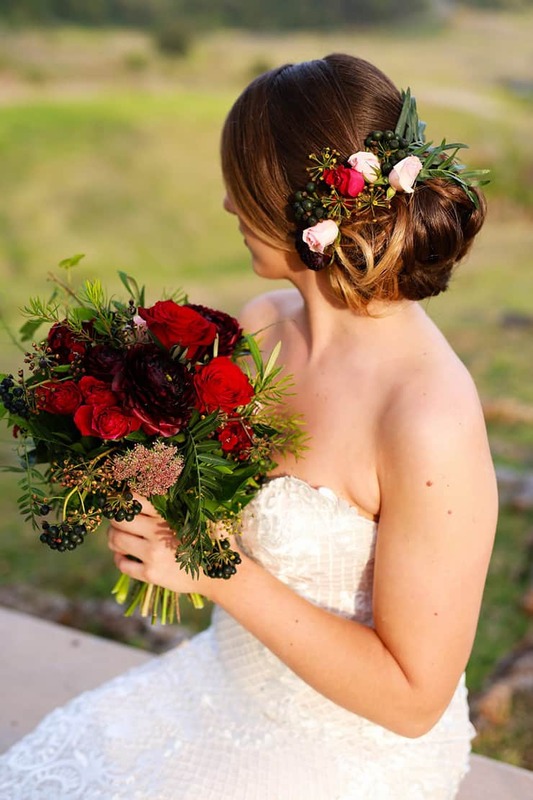 The beautiful bride wears an elegant strapless gown and sleek updo finished with artfully arranged buds and berries. 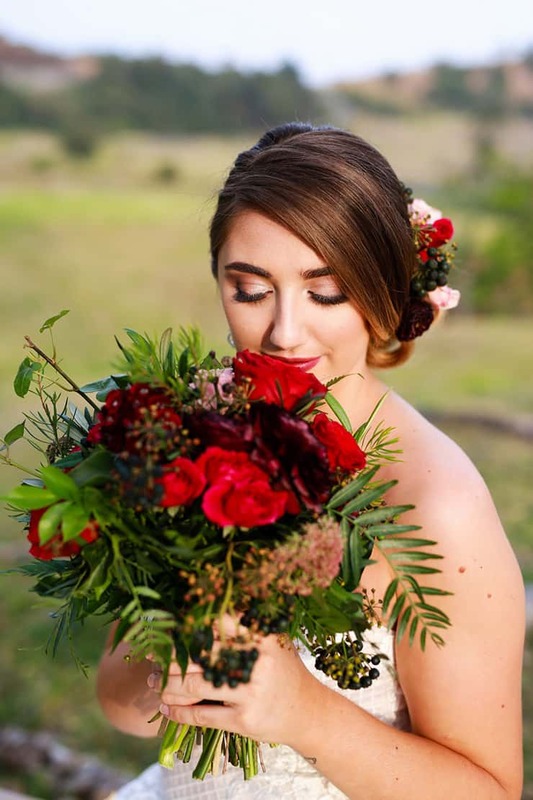 Shimmer eyeshadow and a bold berry lip complete her glamorous look. 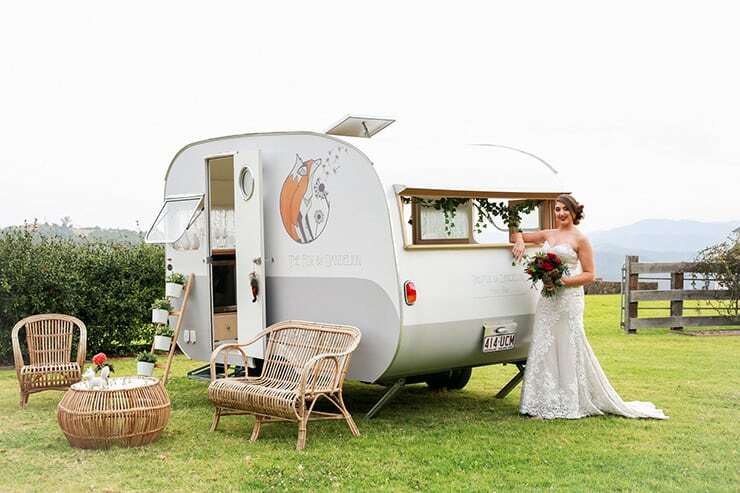 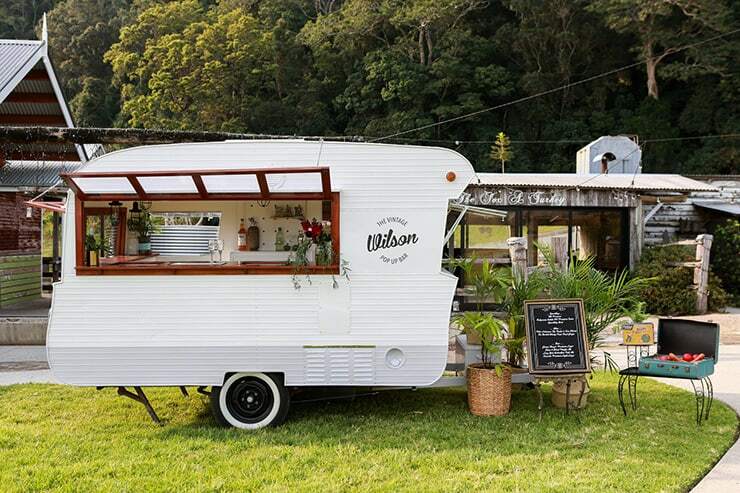 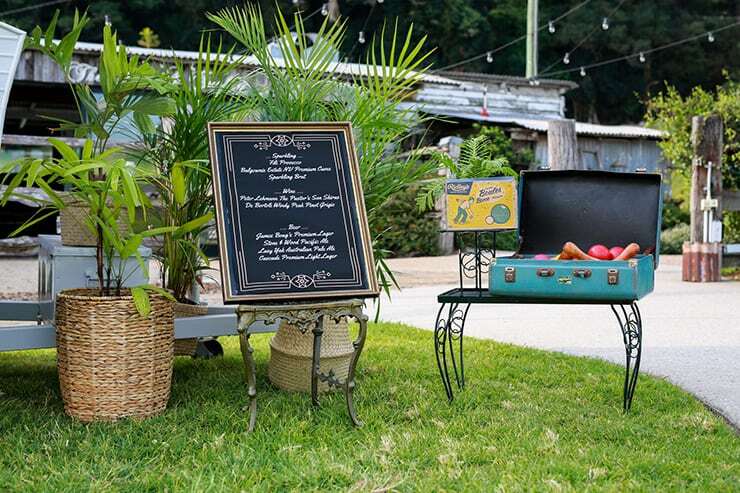 A vintage caravan bar feels at home in the country setting, with bubbles, bocce and bowling awaiting guests after the ceremony. 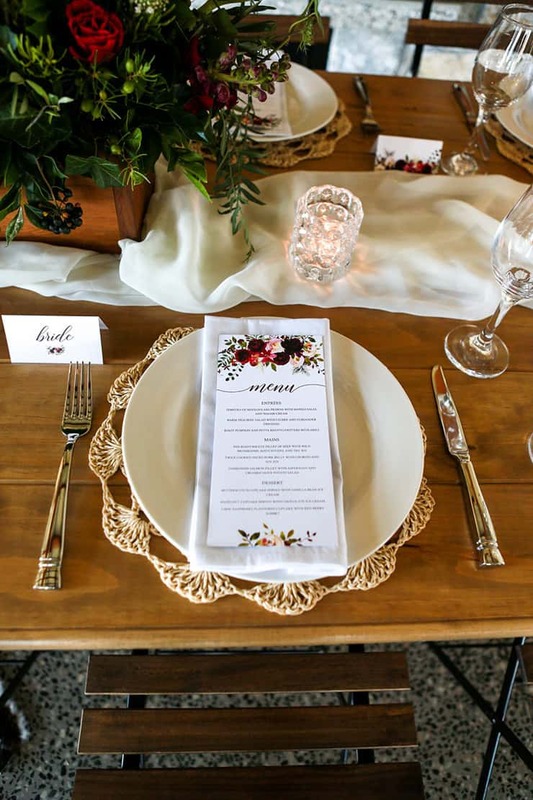 For the reception, illustrated menus are a perfect match for the boxed floral centrepiece, with crocheted placemats, crystal votives and softly gathered table runner adding texture. 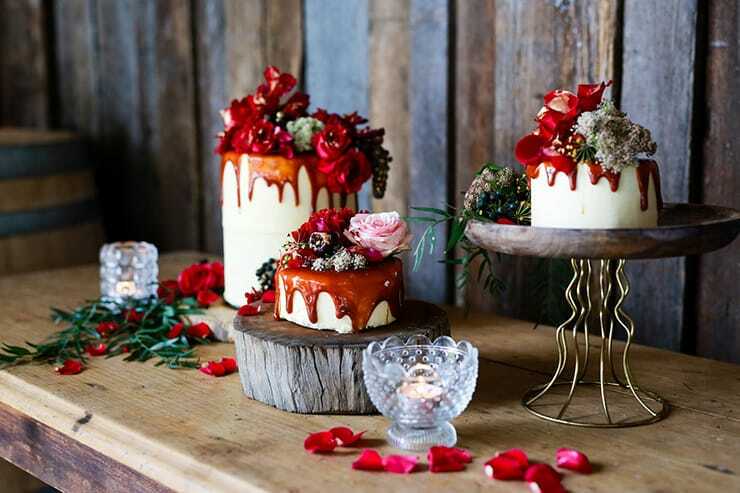 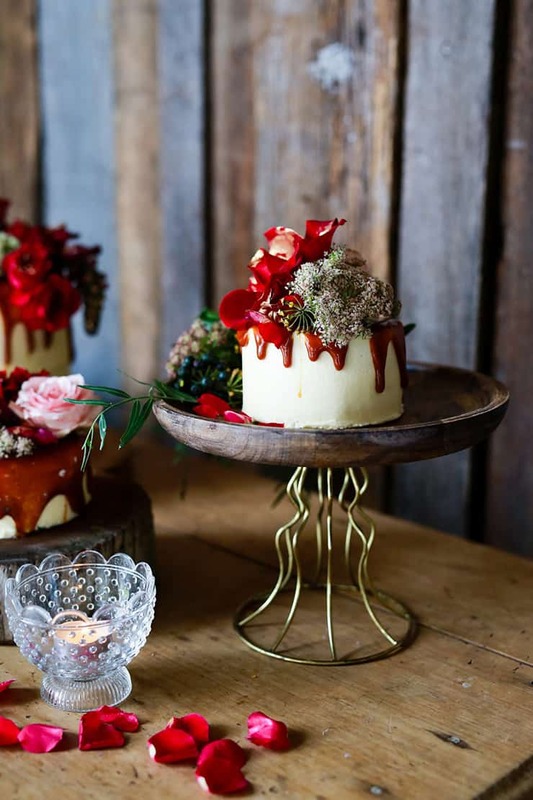 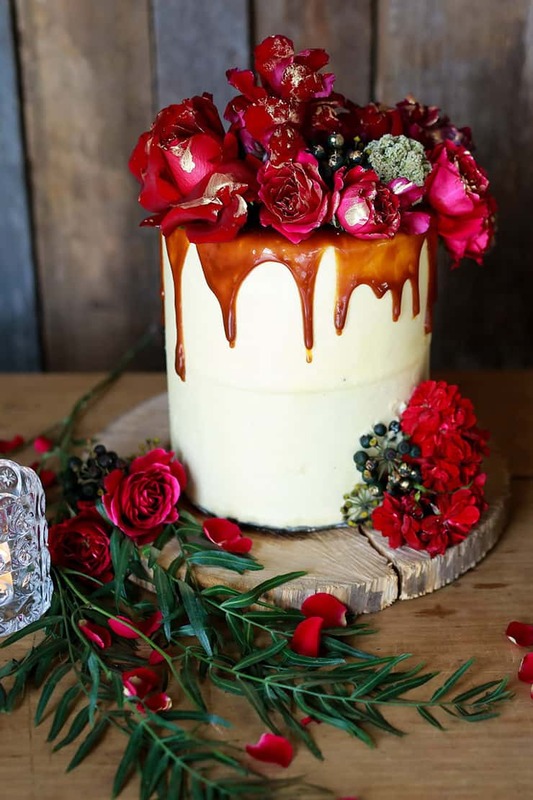 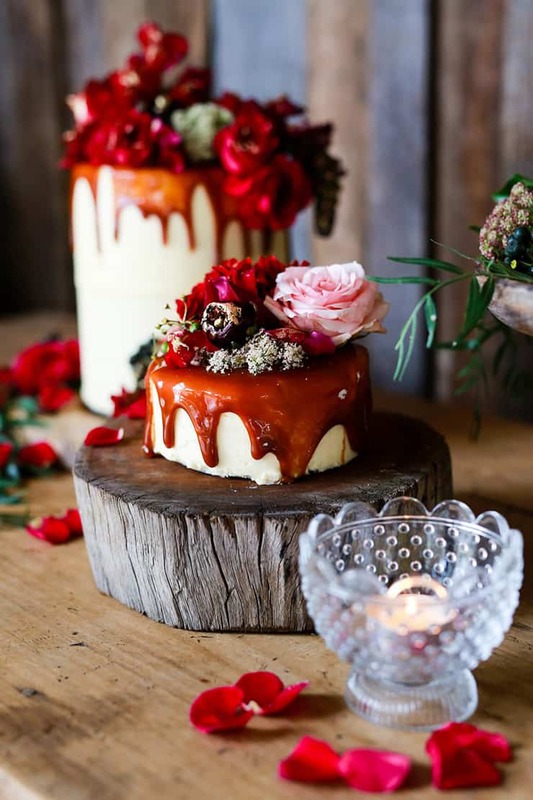 A luscious trio of cakes draped in salted caramel and dressed with fresh petals are displayed for dessert. 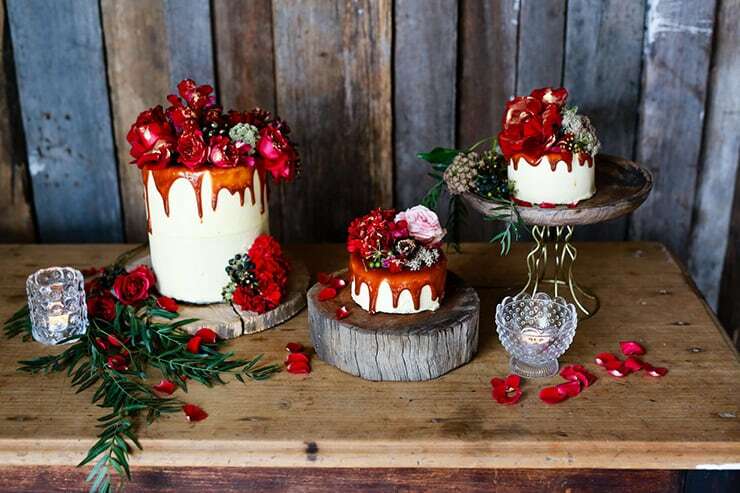 Good things really do come in threes! 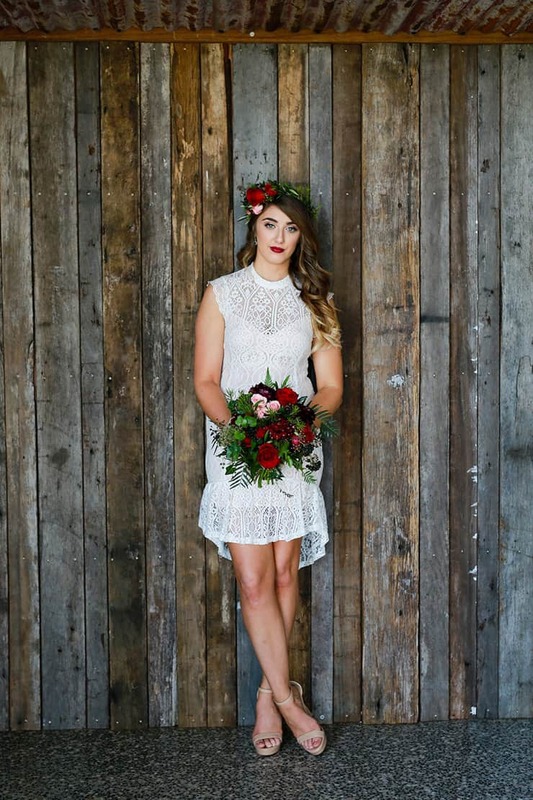 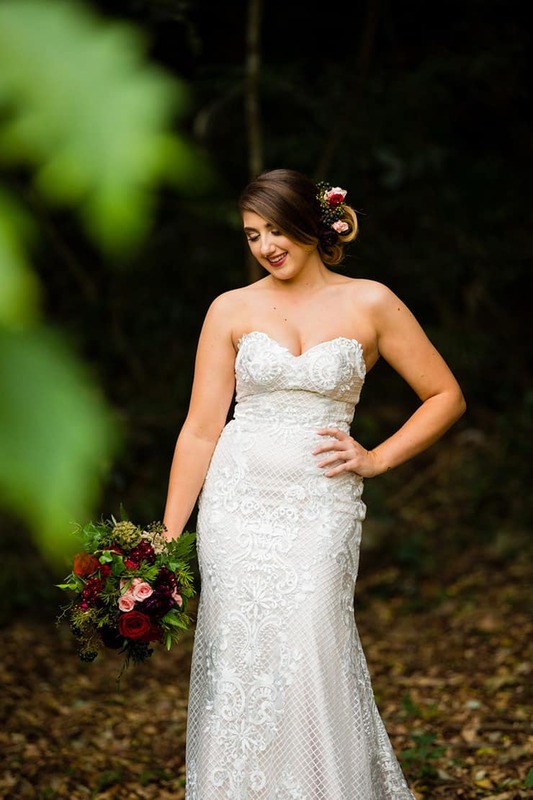 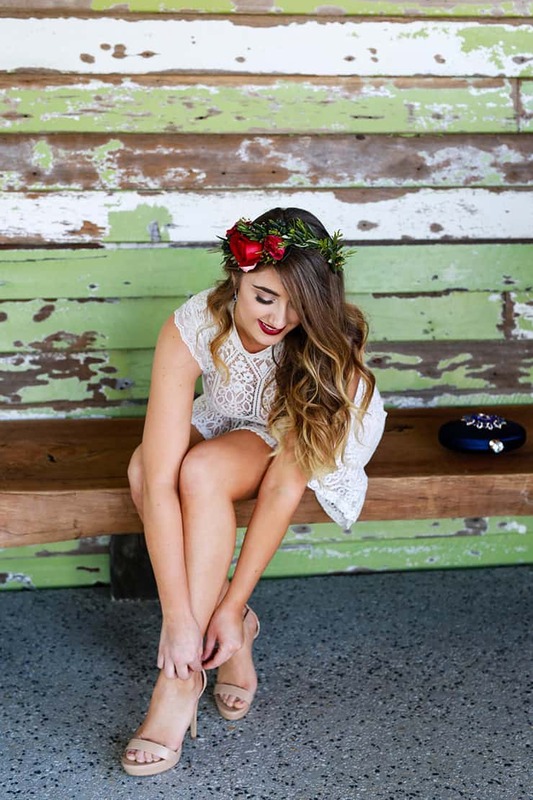 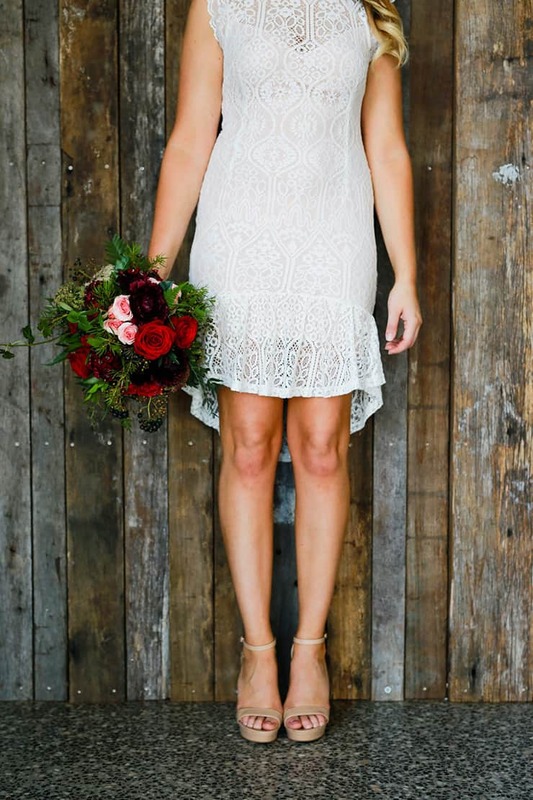 Changing into dancing shoes and a flirty lace cocktail dress, our bride lets her hair down and opts for a fabulous floral crown, ready for a relaxed afternoon celebration. 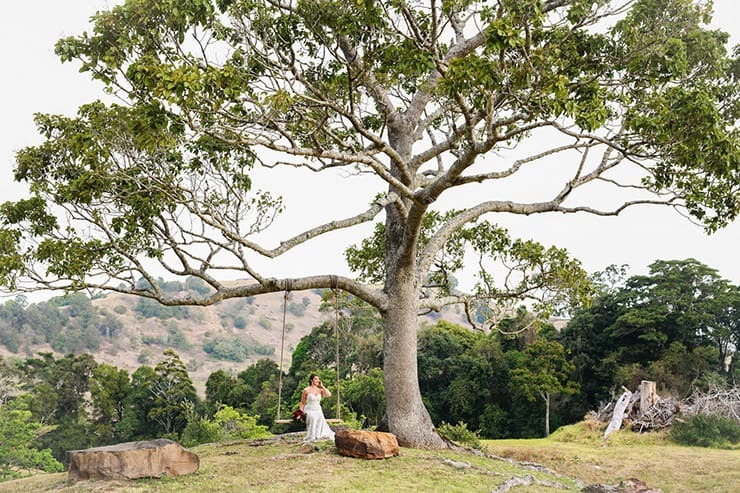 See the stunning film below!